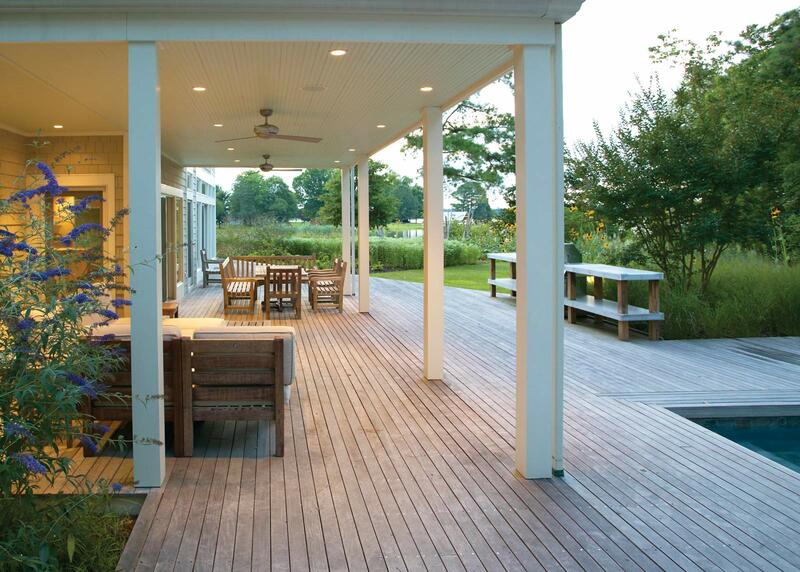 Casa Luna is the guest house of a long-time client’s residence on Maryland’s Eastern Shore. 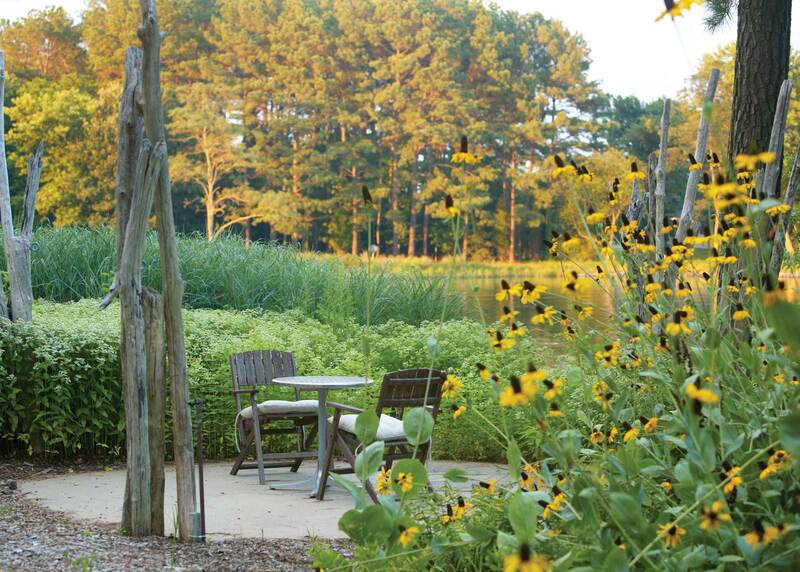 A contemporary departure from the more traditional main home, this creekside landscape sits on the Tred Avon River, a tributary of the Choptank River and the Chesapeake Bay. 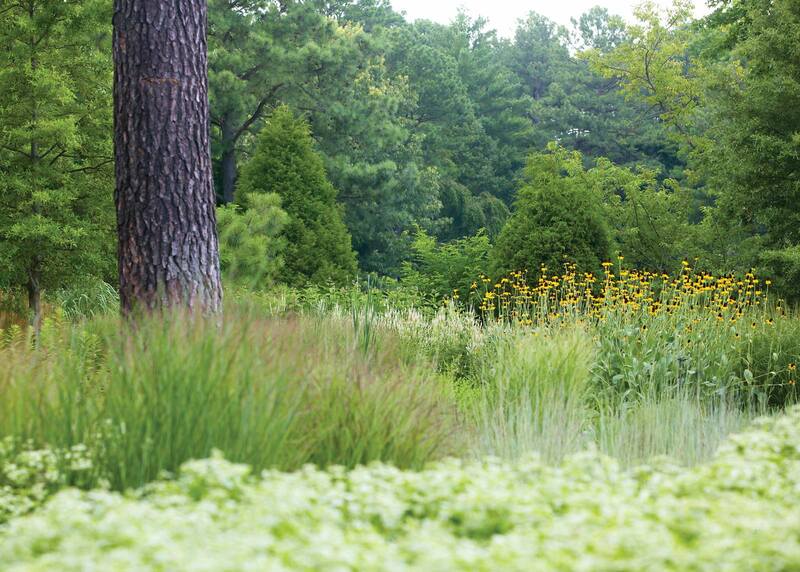 Given the environmental sensitivity of the region, great care was taken to develop a planting plan that seamlessly integrates into the existing ecology. A palette tolerant of the salt air and marine clay infuses a mix of color, texture, fragrance, movement to the landscape. 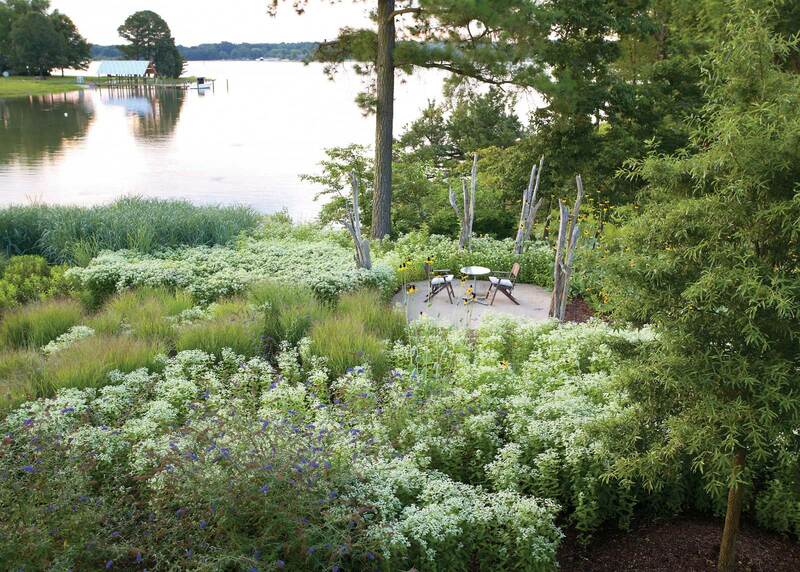 Arranged in layered masses of shrubs, forbs, and grasses, these plant communities give the property an intimate feel and conceal a series of surprises. Footpaths wander through a meadow, capitalizing on vistas over the water and dissolving into hidden destinations. A concrete pad, long a part of the landscape, was kept in-situ and is the foundation for an untitled Ben Forgey driftwood sculpture and a secluded café table. At the rear of the house, a pool is screened by a low wall, out of which a sheet of water cascades onto bathers below. This is a refuge that melds easily with nature. 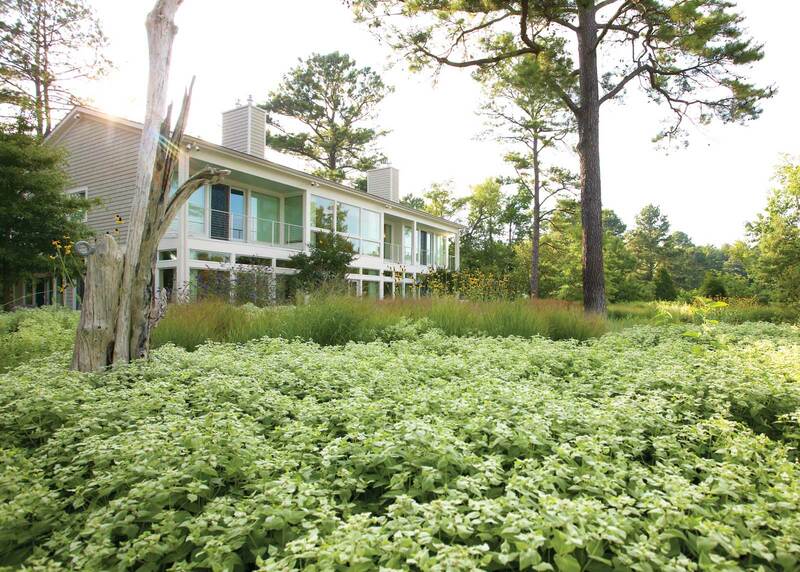 Plants allow the property to respond to changes in light, wind, and season and mimic the ecological systems of the coastal meadow and contribute to the complex biodiversity of the region.